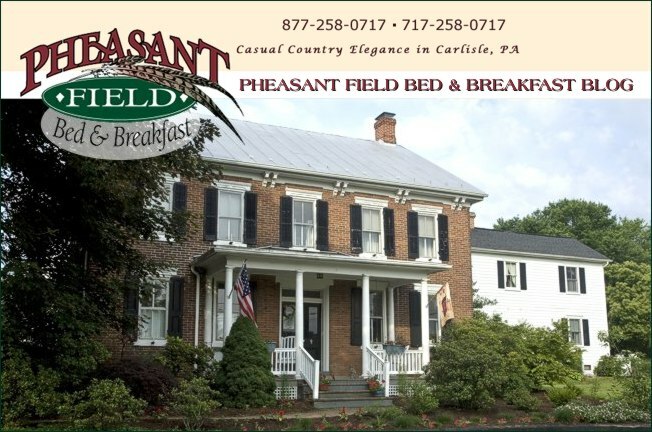 18 years ago today, Chuck & I signed all the papers making us the owners of this wonderful little farm that became Pheasant Field Bed & Breakfast. Six months later we began our new careers as innkeepers and, as they say, the rest is history... We hope that all our guests are enjoying this property as much as we do. We really try to make this a "better way to stay" - more like "home", relaxed, warm, and welcoming. Happy Anniversary to us in this old house! And if you have never stayed in a B&B, try a search for a B&B in the town of your next destination. I hope you will find a better way to stay!